Whole Pet Veterinary Clinic is a full-service veterinary clinic dedicated to offering excellent health care for your pet. 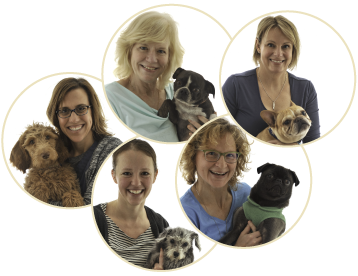 Dr. Megan Caldwell, Dr. Lisa Olson, Dr. Erica Hellestad, Dr. Katie Grawe, and Dr. Kristi Bernhardt and their team of professionals, proudly provide the best options in both conventional and complementary medicine for your dog or cat. Please browse our website to learn more about our animal clinic and the services we provide for companion animals in Madison and the surrounding areas. Read information in our Pet Library, view videos, take a virtual tour of our veterinary hospital, read testimonials, and find details about upcoming events. Please call our office today at (608)270-1070 for all your pet health care needs.